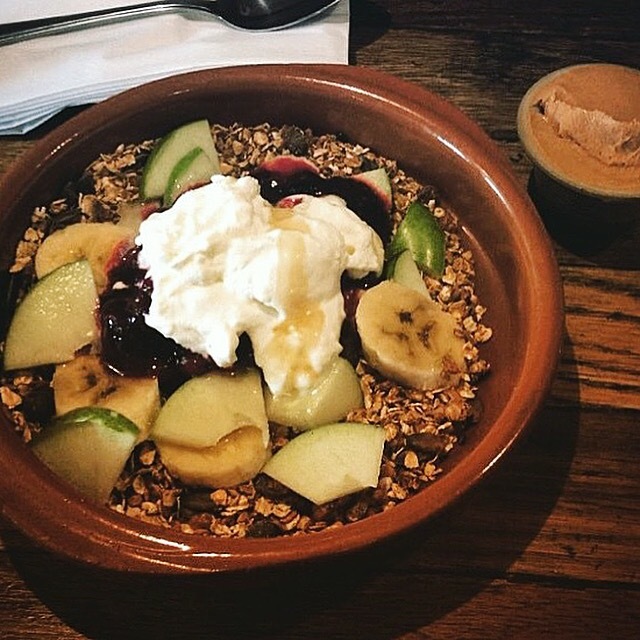 I am a muesli/granola addict! Never mind oats being the perfect breakfast food, I’m more than happy to have a big bowl of granola as Greek yogurt for dinner, adds dollop of honey or peanut butter (or both), some sliced banana, fresh berries and I’m in heaven! You’ll find lots of granola recipes online, many will contain butter and brown sugar, this one is a healthier version, all of the ingredients are natural and honey can be substituted for agave nectar or maple syrup to make it entire vegan!